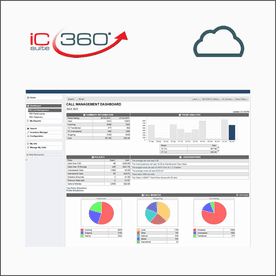 Login access to iC360 is via a URL in a web browser. Application colours and logo may vary depending on brand but there is always a menu on the left and analytics are displayed in the main screen. Key applications include Telecoms Expense Management and Mobile Expense Management. 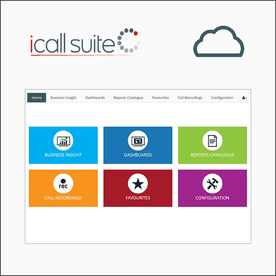 Login access to iCall Suite (Cloud) is via a URL in a web browser. Application colours, modules and logo may vary depending on brand. The application can be recognised by its grey navigational menu bar which is always displayed at the top of the screen. 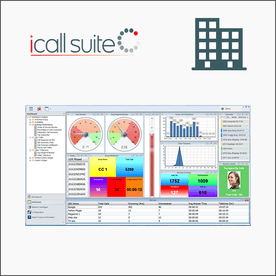 Login access to iCall Suite (Desktop) is via a desktop application. The application can be recognised by its folder-structure menu in the left-hand panel. Once you have an account set up for your new support portal, please bookmark the login page – you do not need to access via this page again. If you know that you already have an account set up but do not know your password, please visit your new login page (using the icons above) and click ‘forgot password’ on the right hand side of the login screen.